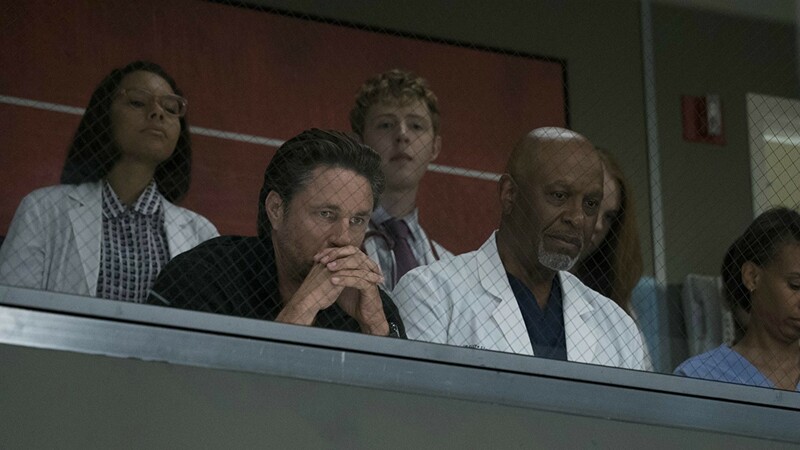 Having trouble keeping up with all the Grey’s Anatomy casting changes of late? You might want to buckle up. In addition to the group of sub-interns introduced during the Season 14 premiere, there’s also a group of actual interns coming your way. You ready for this? There are six of them that will be recurring characters. Before you start making flash cards just to keep everyone straight, there’s one we’ve already met. Levi, played by Jake Borelli, and otherwise known as “Glasses,” already made his debut on the season premiere as the nerdy intern with a big crush on Jo. But he’s about to be joined by five others, and some of them are complete newcomers to TV. The new interns arriving during the Oct. 12 episode of Grey’s include Vik, played by Rushi Kota (Extant); Casey, played by Alex Blue Davis (NCIS); Sam, played by Jeanine Mason (Bunheads); Dahlia, played by Sophia Taylor Ali (Faking It); and Taryn, played by Jaicy Elliot in her first major role. Yep, those stars would be all those new interns. Grey Sloan Memorial is a teaching hospital, after all, where so many of the past and present characters we love got their starts. Who knows? Maybe the new crop of interns holds the next Meredith Grey and Derek Shepherd. JK, JK. We know no one will ever compare.